Made from whole kernel corn, this clumping cat litter from the USA is 100% ecological. 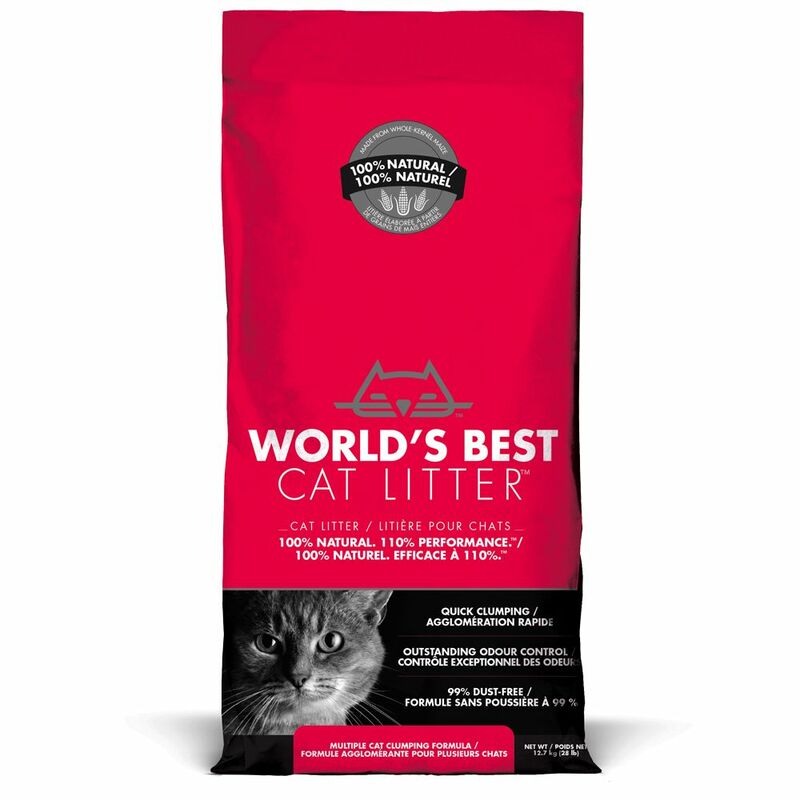 World's Best Cat Litter Extra Strength is the result of a survey of customers who had asked for an even better clumping litter with even more effective odour absorption. A natural additive absorbs odour effectively, even in households with several cats. The litter lumps into small clumps which are completely water soluble, so they may simply be flushed down the toilet. The clumps are easy to scoop up. Odour is effectively absorbed, so smell is hardly perceivable. Your cat will love the especially soft texture of this litter! The fine grains feel gentle beneath the paws and encourage digging and scratching. World's Best Cat Litter contains no chemical additives and no perfumes. It nevertheleΒ guarantees long-lasting freshneΒ. The clumping cat litter is dust free. Evenly cover the floor of a clean, dry cat litter tray with 5 - 7 cm of World's Best Cat Litter Extra Strength. For optimal performance World's Best should not be mixed with other litters. Daily removal of clumps and residues ensures good hygiene. Features of World's Best Cat Litter at a glance: Bio-degradable Made from a natural, renewable source No chemical additives Extra strong clumping Very economical Dust-free Odour-neutral Maximal odour absorption Flushable Good acceptance Gentle on sensitive paws Not dangerous for cats and kittens, even when eaten Suitable for allergic cats.